The concept of the Arab Asian Business & Exhibition Centre comes from observations of market needs of emerging businesses in Bahrain. AABEX is a top-of-the-line business centre which will offer a full range of business support services and will serve as an ideal platform for new and emerging businesses, cutting overheads, promoting efficiency and attracting more investors to “Business Friendly Bahrain”. Exploratory Office: We have witnessed lot of Asian companies deciding to start business in Bahrain. This involves many preliminary visits to come, check the place, explore the possibilities of starting a business etc. At this early stage, these businesses need a low cost option for an office. AABEX will be able to offer full services and an attractive low tariff. Start-up Office: New CRs are issued to Pan-Arab business – they want to contain the costs and start the business without incurring too many fixed long-term costs and utilize their staff visas for specialist staff as opposed to secretarial employees. By using AABEX, they can avail of office space as well as our administrative/ receptionist/secretarial team. Business Solutions Support: For entrepreneurs who’ve made the move to set up on their own, AABEX can help make the most of their opportunities with ready-to-go, business enhancing products and services. No capital outlay, no long term commitment, just a range of solutions that make sense and will help their business thrive. Virtual Office: The concept of Virtual Office is a big element in the success of new business set up in new locations. We will promote our resources, ability and efficiency to manage the Virtual Office requirements of businesses i.e. If you don’t need a full time office, with a Virtual office, you get a professional address, dedicated local phone number with receptionist services and flexible use of an office when you need it. Exhibitions Support: There are several Companies in India, China, and Thailand who would like to organize small scale trade exhibitions and call only the concerned trade segment for the exhibition – we can organize that. We can also organize Catalogue exhibitions. Corporate Meetings: The sales and marketing divisions of the corporate sector have regular Sales, Review and Strategic meetings. These meetings can be held in our Conference room facilities which will provide all the necessary amenities to conduct the meetings. Delegations’ Office: When major Exhibitions and Trade fairs are held in Bahrain, the Exhibitors will need Office space of their own to meet and discuss and finalize deals with the clients. 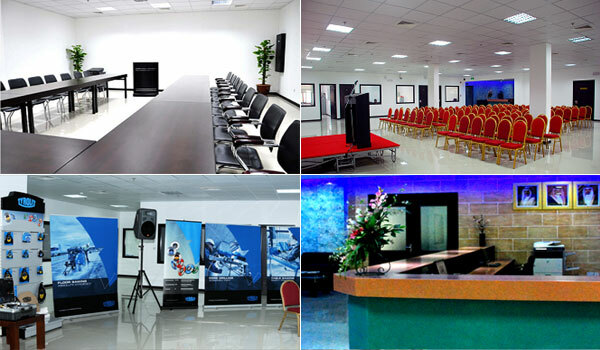 When you use AABEX as your office address,it helps you in enhancing your image at a reasonable cost with a perfect place to meet your clients.